Henry Weil and Stuart Grozbean, of Belli, Weil & Grozbean, were named Super Lawyers for 2009, making them part of Maryland's top 5 percent of lawyers, an annual list published by Super Lawyers Magazine. Maryland divorce, child custody, family law and personal injury attorneys and lawyers, Henry Weil and Stuart Grozbean, have both been selected as part of Maryland's top 5 percent of lawyers for 2009, making them "Super Lawyers." Created by Super Lawyers Magazine, outstanding attorneys are chosen and placed on its annual list of "Super Lawyers." 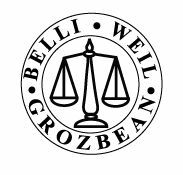 Weil and Grozbean represent Belli, Weil & Grozbean, a nationally recognized law firm. 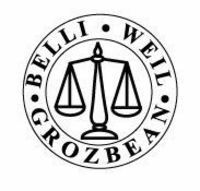 Weil and Grozbean specialize in a wide range of practices, including Maryland divorce, child custody and family law, medical malpractice, personal injury, nursing home abuse, corporate law and mediation. Grozbean and Weil are the authors of numerous articles that can be found on their websites at http://www.drdivorce.com and http://www.mdlawyers.us As advocates for mothers' and fathers' child custody rights in Maryland, Grozbean and Weil take the forefront in Maryland divorce family law. Grozbean developed Maryland's child support guidelines support program, utilized by virtually every Maryland state courthouse. "Initially, we try to create a dialogue with a spouse's attorney to try to find some common ground," Grozbean explained. "However, attorneys who oppose us know we are not afraid to go to court to protect our clients' interests. Our reputation often helps to settle cases." Grozbean has been admitted to the United States Supreme Court, the Maryland Court of Appeals, the Superior Court for the District of Columbia, the U.S. District Court for Maryland, U.S. District of Columbia and U.S. Court of Military Appeals. He has successfully handled large and complex domestic matters, including prenuptial agreements, custody, property, pension and business rights. Grozbean has successfully handled large and complex domestic matters, including prenuptial agreements, custody, property, pension and business rights. He is also a member of the Maryland State Bar Association and was admitted to practice before the Supreme Court of the United States. Grozbean's clients have included a representation of corporations on the New York Stock Exchange, as well as other nationally recognized corporations in major contract negotiations, litigation and discrimination defense. Weil is a Board Certified Civil Trial Attorney by the National Board of Trial Advocacy. He is a member of Trial Lawyers of America, the American Bar Association, the Maryland Board Association, the Montgomery County Bar Association, Inns of Court and the American Foundation for Autistic Children. He has successfully handled million-dollar cases in personal injury and medical malpractice cases. He serves on the Board of Directors of multiple corporations. Mr. Weil is a certified mediator recognized by Maryland courts to help resolve complex legal issues through mediation. Weil is also the past president of the Belli Society. Admission to the Belli Society is by invitation only.